They make gorgeous jewelry. They spread the message of #FashionforGood. They work with women in Uganda who are being empowered every day to “rise above poverty and pursue their dreams.” I’m talking about 31 Bits, the jewelry line company whose pieces are handmade by women in Uganda. If you haven’t heard of them, I am both thrilled and honored to be the first to tell you about them today. If you have, then you know what an amazing company they are. 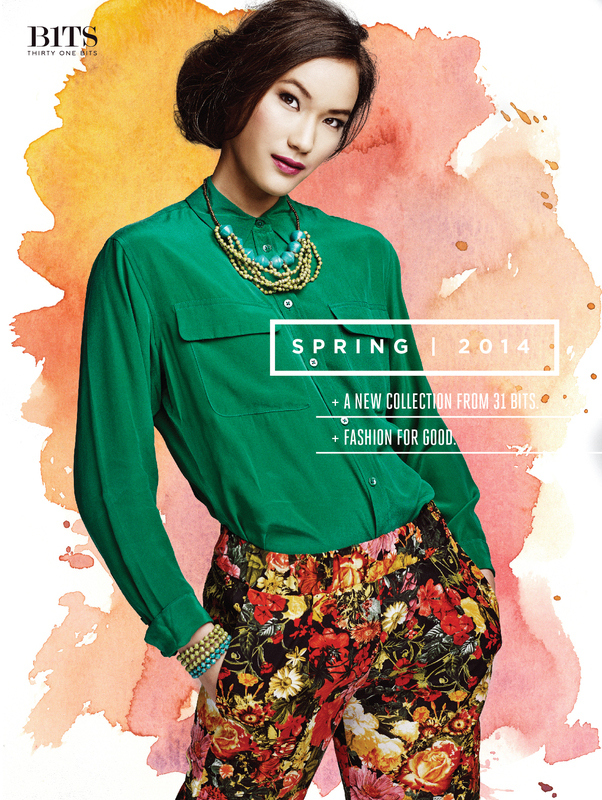 Yesterday (January 14, 2014), 31 Bits announced the launch of their Spring 2014 collection. What will you see as far as colors and style when the collection is released on February 18, 2014? Colors such as candied pink and soft coral, with combinations of cornflower blue, cool grey, sea foam green and fierce teal. That screams (softly of course) spring to me and I can’t wait to see this line up close and personal. My daughter and I were browsing store to store through The Domain in Austin, Texas recently and saw a rack of 31 Bits jewelry. If I could remember the name of the store I would tell you. I do remember how excited I was and how the bold colors of their jewelry grabbed my attention. I’m thrilled to hear their new Spring line features something different, with the colors of spring we all recognize. 31 Bits teaches the women of Uganda to make the jewelry out of recycled paper and then each piece is purchased from them on a monthly basis. This teaches them a skill, as well as gives them a consistent and immediate monthly income. I love this. Stay tuned for pictures of their new Spring 2014 Collection soon! You can purchase 31 Bits via their website, or you can search for a store location near you.